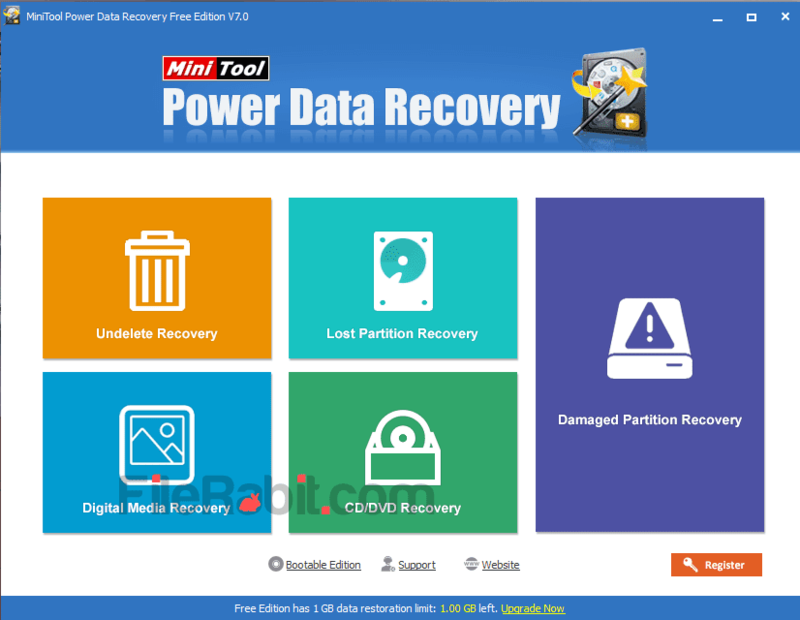 Power Data Recovery is getting data back tool used to recover images, music or videos files that maybe deleted from USB, memory card or hard disk drive. The simplicity and user friendly interface makes it easier to recover personal files. The fast response with newer technology will spend less time on scanning as well as recovering important data. Many of users were facing data lose problems due to corrupting of memory card, formatting of USB flash drives, deletion of partitions of hard drive and more. R-Studio is one of powerful and awesome data recovery software but its not free and will require higher price before use. Power data recovery has 2 versions with free offers recovering data up to 1 GB and bootable edition requires purchase full version before use. However, most of users are going to recover office word, excel, power point & access files. Some of them needs data recovery for PDF documents and camera images. It lets you recover anything including pictures, audios, videos, office documents, email and mobile based data. It supports FAT 16/32, HFS+, NTFS and UDF file systems. The file type support is wide where you can mark graphics, movies, music, documents and other heading tabs. It has wide file extension variety almost covers every popular file type. Undelete Recovery: method is used to recover accidentally deleted and corrupted files from local hard drive and memory cards. Sometimes files will be deleted by mistake or even wiped from recycle bin. In this situation Undelete recovery will provide immediate help. Lost Partition Recovery: is used when a partition was deleted due to accidental cause or by mistake. Lost Partition Recovery will give support to recover any NTFS/FAT partition with quick response. Digital Media Recovery: digital media includes handy cam, digital cameras, micro SD cards, SD cards and HD cameras. This method is used to recover camera images and videos that were deleted by mistake or due to format. CD/DVD Recovery: Sometimes CD-RW and DVD-RW will be formatted or files are deleted individually. It has this utility to get files recover from CD/DVD or Blu-ray discs with less time. Damaged Partition Recovery: This method is used when a hard disk drive receives bad sector problems. Mostly in these cases, data will be lost due to corrupted and damaged partitions.